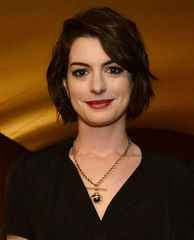 Brown hair is cut short, falling just past her ears, though it is often clipped back from her face with the use of a single barrette, keeping it from obscuring her hazel eyes. Her face is narrow - a word that can describe her nose as well - and also her body in general. It is possible that she has not yet reached her adult height, and her body is just barely beginning to fill out - leaving her lean form easily mistaken for that of a boy. Her clothes certainly don't work against that assumption - on a normal day, she can be found wearing non-descript pants and a loose button up shirt that falls to her hips. Ricki was born the third child, and third daughter to Nicca and brownrider O'ric, of Xanadu Weyr, and granddaughter to the former Senior Weyrwoman Niva. With older sisters Saria and Cara already around, her name proves that her parents had assumed they may have finally gotten a son - except not. She has a rather unremarkable childhood - with her parents doing their own special sort of investigative journalism, she often found herself piled on the back of brown Oceleth to explore a new part of Pern, but the family always returned home to Xanadu. As she aged, the trips with her parents became rarer, special treats as a distraction from Harper lessons, and now as a young teenager she is working to find her own place in the world. Cackling, chittering, chattering; the sounds never stop. Brilliant sky-blue, chased with hints of steel gray and sterling silver, this hulking firelizard is a few bricks shy of a barrel. In constant motion, its difficult to get a bead on exactly what this firelizard looks like - but no one within his vicinity has any problem describing what he sounds like. Pure, unceasing insanity; an unending, cacophonous symphony of chirps, trills, and squeaks. Oh, she'd be adorable if she weren't such a strange hue of green! This little firelizard is definitely on the pudgy size, destined to always be a little softer and rounder than others of her kind. Her cheeks are chubby, her limbs plump, and even her toes are painfully cute to look at. But then there's her hide, which is a bizarre hue of jade green that edges into unpleasantness under some lights. It's skewed toward the gray scale, though she's not unhealthy, and it has a natural gloss to it that isn't quite normal. Her wing sails, by contrast, are a vibrant green, a hybrid of emerald and jade - like the facets of some rare jewel that has no name. The emerald-jade blend can be spotted swirling along her belly or her tail, and flashing at the insides of her limbs. In the end, she might just be a pretty jewel of a thing, buried in the muck. In a world where fortune favors the bold, this green treads a careful path betwixt the extremes. She is neither large nor small, long nor short, bulky nor frail, beautiful nor ugly - she is a creature comprised of averages, and this suits her just fine. This is not to say she is unremarkable, for her hide is the pale, cool brilliance of a sunlit sea, rippling with shades of varying intensity as subdued waves push down from shoulders to the dark shores of her paws. Deep dark celadons drawn from a tidal abyss cast cool shadows across the leading lines of her wings, fading to a pallid jade along the trailing edge in what at first might be mistaken for a simple gradient. It is only with study and proximity that one might realise that subtle dapples of sunlight through dark waters are in fact an elegant brocade, lacy stitches and swirls that form a complicated pattern that never seems to stay the same from day to day. Hints of glacial green curve about her eyes in a subtle mask, arching over her brows like a thin, vapored veil before spilling over the soft curves of her neckridges in a long trail of color. It persists in wraithly veins, in small twists of threads and fabric until it pools at the very tips of her tail. Freckles dot and dash across the bridge of her nose, the smooth lines of her neck, and the curves of her shoulders before fading away entirely, some lighter than her hide, some darker, but ultimately lending a subtle charm to a creature otherwise comprised of cool composure.